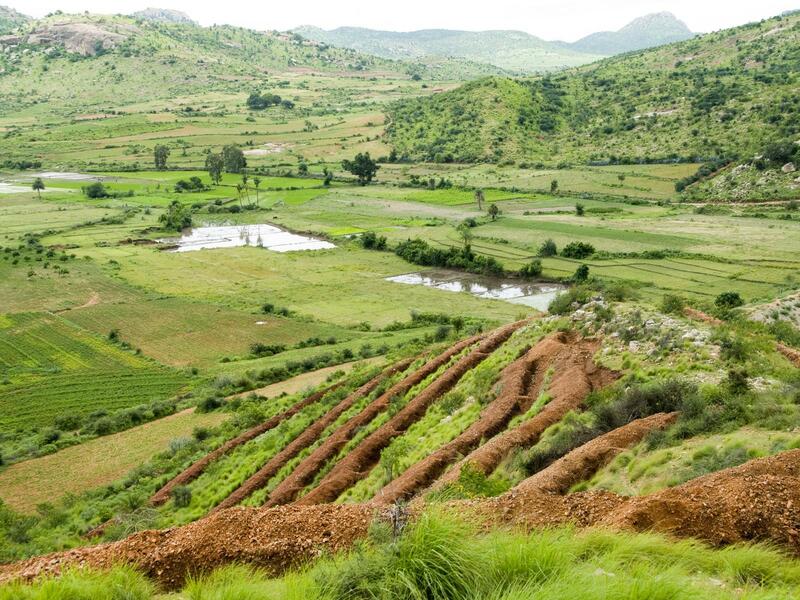 Ganjikunta, in the district of Anantapur, in the state of Andhra Pradesh in southern India. Extreme poverty and weather conditions. Single crop farming. Desertification and depletion of aquifers. Construction of an 80,000-m3 reservoir to store water, recover aquifers and irrigate a surface area of 22.26 hectares. By constructing a reservoir, it will be possible to store water and recover aquifers in one of the poorest regions in India with the most extreme weather conditions. The immediate benefit will be an increase in crop productivity and diversification, which are essential in order to improve the quality of life and income of the inhabitans and bring to an end land abandonment and migration to the big cities. Anantapur, the largest of the 22 districts that make up the Indian state of Andhra Pradesh, suffers from extreme and constant shortage. It covers approximately 1,913,000 hectares (19,130 km2), of which 1,001,000 (52%) are used to grow crops. 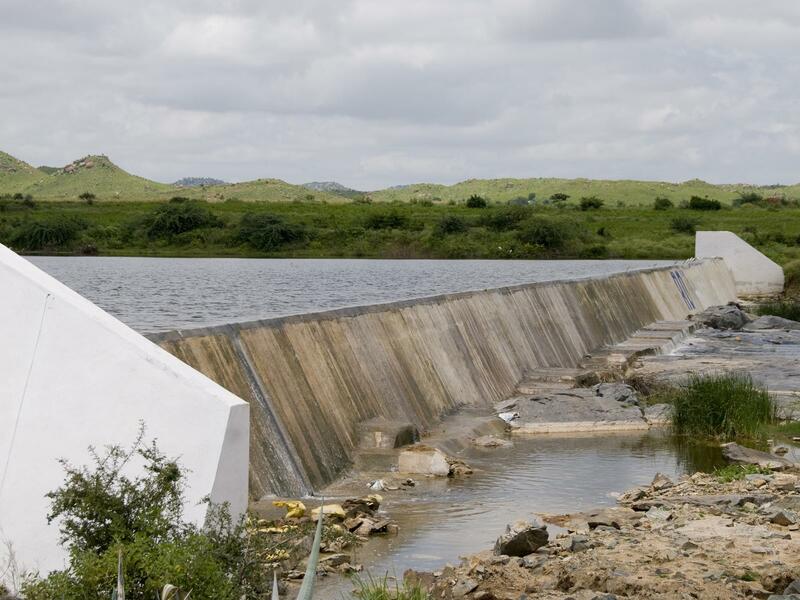 Of these, only 142,000 hectares (14.19%) have some kind of irrigation system, making the district of Anantapur one of the areas in India with the least irrigation infrastructure. It has a population of over 3.5 million, with the majority of inhabitants living in rural areas. Three-quarters of the population depend directly or indirectly on the agricultural sector, which is in a precarious situation due to the extreme poverty and harsh weather conditions. The caste system heightens the situation of poverty in the area. Although officially abolished by the Indian Constitution, in practice it is deeply entrenched in society and determines people’s lives. The lowest of all of the castes is that of the Dalits, or Untouchables, a vast group of 160 million people who are socially excluded as they occupy the lowest level of society. Almost all of the rain falling in the district of Anantapur comes from the Indian Ocean monsoon. 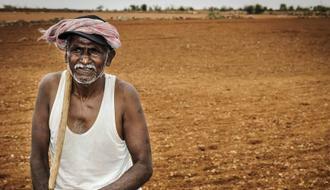 Anantapur is the second district in India receiving the least rainfall: an annual average of 553 mm, 70% of this falling from mid-June to the end of September, during the monsoon season. Consequently, the water flow of the rivers in the region varies greatly, ranging from zero to torrential depending on the time of year. In addition to preventing the correct use of rainwater, the lack of water infrastructure makes it very difficult to mitigate the negative effects of torrential floods on crops. The fertile layer of soil is swept away, causing erosion; furthermore, the soil characteristics promote the rapid filtration of water in the farmed areas, a devastating phenomenon as the water takes the soil’s nutrients away with it to the groundwater table, which is far from the roots of the crops. The soil in the farmed areas is therefore depleted and reaches such a level of acidity that it is difficult to restore its productivity, forcing the farmers to grow single crops of adapted species, consequently impoverishing their diet. In turn, the villages in the area, which are generally made up of buildings constructed of mud and leaves, suffer the consequences of the torrential rains, which destroy homes and create unhygienic situations that cause all kinds of disease. 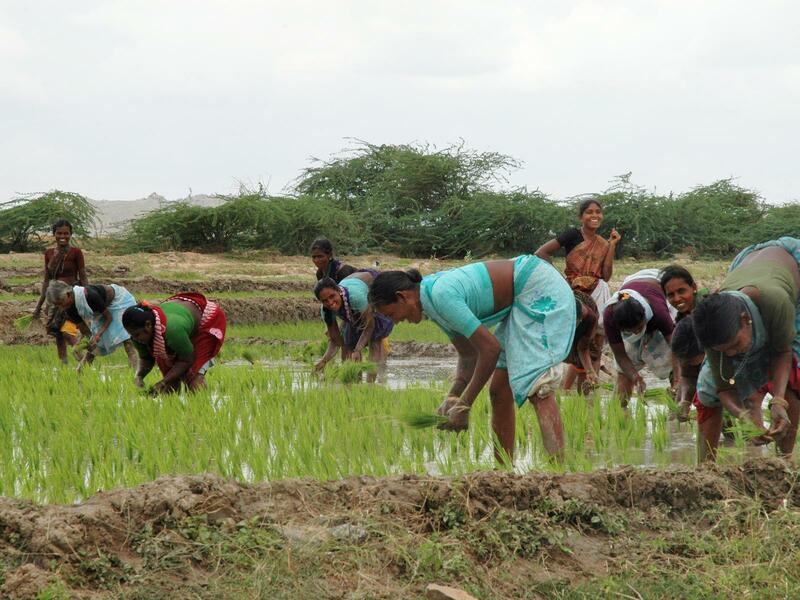 At present, the work of the Vicente Ferrer Foundation and its Indian counterparts, RDT/WDT (Rural Development Trust and Women’s Development Trust), in Anantapur covers 19,130 km2, reaching 2,313 villages and benefiting over 2.5 million people. For decades, the foundation has been carrying out a comprehensive development programme to bring about a genuine improvement in the living conditions of the most disadvantaged communities in Anantapur. In order to eradicate extreme poverty in the region, diverse projects need to be carried out based on actions involving the construction of appropriate housing, education, health, assistance for people with disabilities and women, and the regeneration of crops, the latter directly linked to the recovery of ecological balance. Putting a stop to desertification and recovering the levels of aquifers is an essential factor of this development programme. 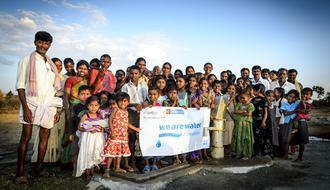 In southern India, rainwater has traditionally been stored in tanks and used for irrigation. During the pre-colonial period, the construction and maintenance of these tanks was a priority for both the governors and the community. Nevertheless, the high maintenance costs required and the lack of resources made available for this purpose have meant that the majority of tanks are in poor condition. Over the past few years, however, there has been a change in governmental policy, which now highlights the need to modernise the traditional irrigation systems. 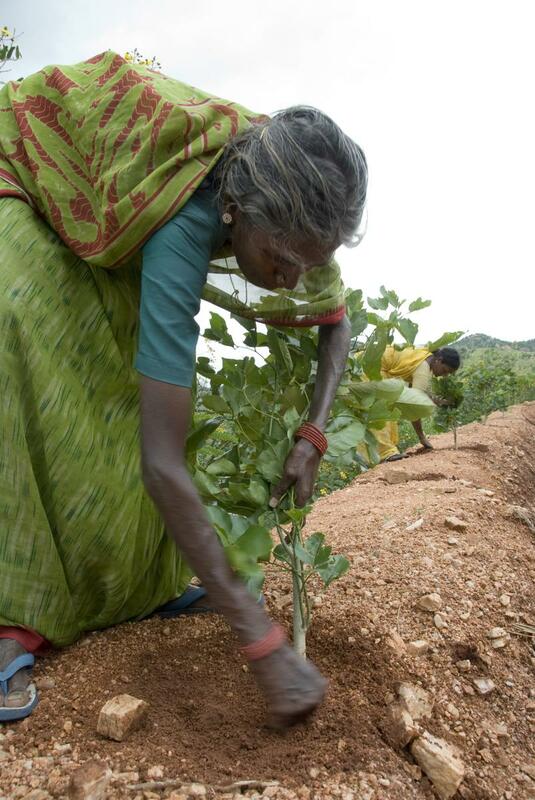 In 1997, the Andhra Pradesh Farmers’ Management of Irrigation Systems Act (APFMIS Act) was passed, leading to the state government handing over the management of water resources to municipalities and user associations, albeit with some limitations. 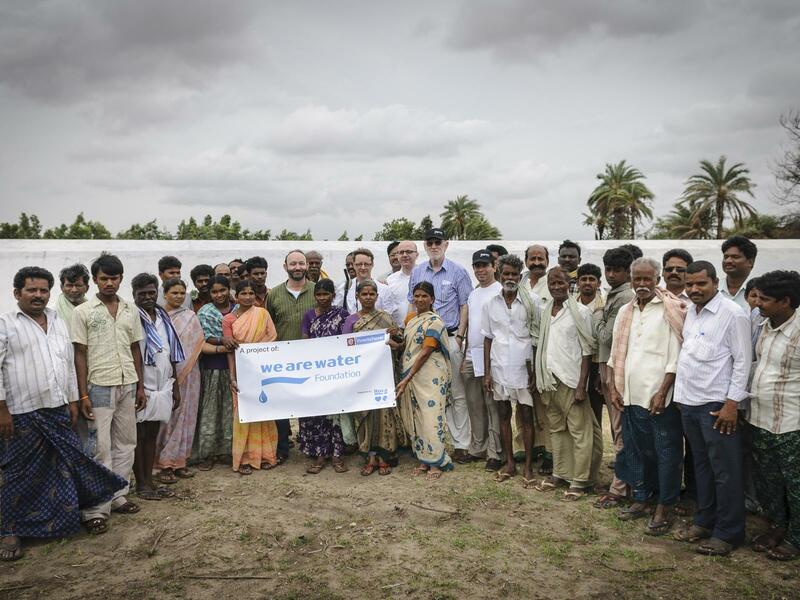 Furthermore, over the past few years, the Indian Government has passed laws in order to improve water resources that have fostered the good relations existing between local authorities and the Vicente Ferrer Foundation. In this context, the reservoir in Ganjikunta is being built. It is a structure that can hold 80,000 m3 of rainwater. 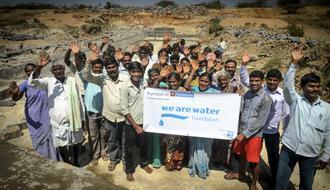 Located two kilometres from the village, it will collect water from the local Chinna Vanka stream and will be used to supply one open well, three groundwater wells and two drinking water fountains. The water collected will make it possible to increase the irrigation area by 25 acres (10.12 hectares), supplementing the current 30 acres (12.14 ha.) of irrigated land. The storage of water will make it possible, through filtration, to regenerate underground deposits that supply water to wells in the area and increase reforestation to enable the recovery of the natural water cycle.